I have come to realise that life is so incredibly precious. As a Pediatric Nurse, I have amazing memories of joy and triumph, but I can also tell you stories of heartache and loss that will be with me forever. It’s these stories that remind me everyday how fragile and fleeting life can be. So fleeting it can be gone in the blink of an eye. Sadly it’s often only when we experience this loss or simply realise our children are all grown up, that families look back with regret wishing they had taken the time to capture those precious early moments. For this reason, Baby Photography is near and dear to my heart. As a new or expectant parent, it can be an enormously overwhelming and exciting time. There is so much to prepare for when you are expecting a new baby and, of course, the hustle and bustle of life with a newborn can hit like a wave. But this time is not forever… In fact, it’s a very fleeting moment in our lives that is gone in a split second. A time that can easily be forgotten… Unless it’s captured in photos. 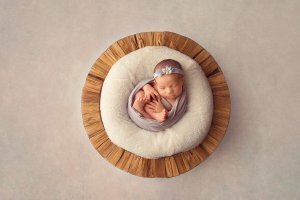 Baby photography is your chance to capture not just your little one in photographs but to capture the moment in time when they joined your family and your life changed forever. Because you may not realise it now, but years down the track you will find old baby photos and you will realise just how fast time does pass. Just like the trick of time… flying past without us noticing, life changes can also play tricks on us. Because when we are busy with everyday activities we don’t often stop and think about how much life has changed, how far we have come, how quickly our children are growing. Every second of every day babies are growing and changing. What your baby looks like yesterday can be completely different from today. And while you may think you have plenty of time to take photographs of your baby, trust me, you really don’t. If you haven’t taken the time to capture your baby in photos while they are still very young, you will miss the opportunity to capture them in a stage of their life that they will never be again… For tomorrow they will be different. Baby photography is our doorway back in time. A doorway to memories that may have been forgotten about or pushed to the back of our mind. Memories that can catch our breath or bring on overpowering emotions that we don’t even realise we still have within us. When you see a photo of your babies when they were young you are instantly transported back to that time and place… And you start to remember not just the emotions, but the smells, the sounds and a whole host of other memories from around that time. And those memories lead to stories. Stories of what life was like the photos were taken. Stories that compare photos throughout generations. Stories that make up your family’s history and are passed down from generation to generation. Baby photography opens a door to the past that is full of stories that keep the memories and the moments alive forever. How far back can you remember your childhood? Back to when you started school? Before you started school? Do you remember your toddler years? Chances are you don’t remember back that far and what you do remember is probably someone else’s memory that has been relayed to you. This is why baby photography is such a gift to your child. While they may not have their own memories of when they were a baby, their photos are mementoes of that time. Photos show your child what their life was like from the very beginning. It shows them what they were like as a newborn and the transition they went through from newborn to child to adult. This is such an important gift to give your child. It gives them their identity… right from day one. And, this is a gift that keeps on giving. When they grow into young adults and start having children of their own, they can pass on the memories about themselves as babies to their own children. They can compare their own baby photos with the photos of your grandchildren. Comparing features and traits. Building a bond that can only exist between a parent and their child. The beauty of photography is that it can be shared. It’s one gift that truly keeps on giving. Taking the time to take baby photos while your child is still a newborn is a gift that you can give your family far greater than any other gift you have given them before. 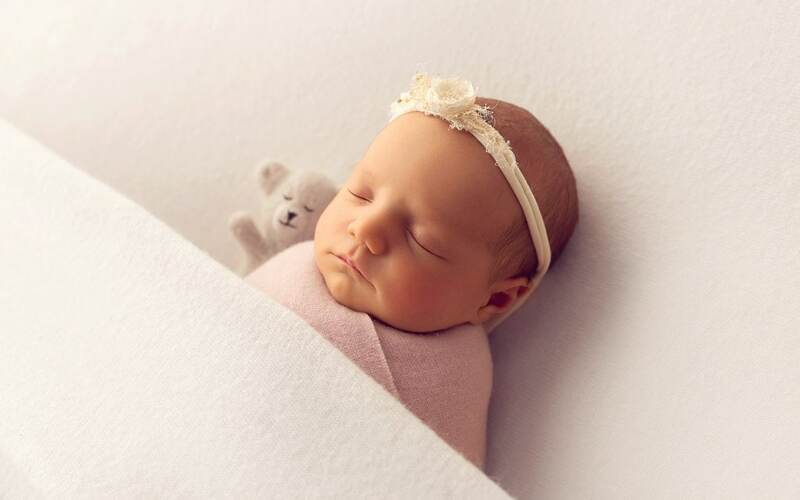 Because when you capture the most gorgeous newborn photograph and pass along copies and keepsakes to your parents, your grandparents, your siblings, your aunt and uncles, the first thing they are likely to do is share the photos with their friends, neighbours and other family members. Everyone loves a baby and baby photography is the best way to share love… In the most tangible way possible. Let’s not forget the most important person in the equation here… You! If your baby’s photographs are going to be anything, then let them be a gift to yourself. These are your memories after all. They represent the time you spend growing your precious bundle in your belly. The many hours you spent rocking your newborn to sleep, the absolute joy you felt when you saw the first hint of a smile. Baby photography is a celebration. A celebration of a new life that you have created! What better way to celebrate than to capture the milestone with professional prints that can be cherished forever and become family heirlooms. And that is why baby photography WILL BE the most treasured possession we will ever own. Don’t miss your opportunity to create priceless memories. 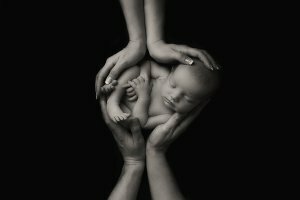 Contact me today to discuss how we can create beautiful newborn images for you and your family to treasure forever. Fantastic article about a fantastic concept!! 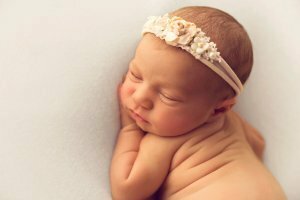 We had a newborn photo shoot with a Elle and she was amazingly professional and is incredibly talented!! The walls of our house are now decorated with the beautiful images! Our son will always know he is so loved!! What a beautiful and well written article. Such beautiful work and excellent information. Great article! I wish that all the parents would read this and make this kind of memories for their babies! YES, Exactly this!! Perfectly written! Great post! And sweet sweet photos! The photos are beautiful. Great tips. Thank you for sharing.